New Ballet Ensemble reinvents a holiday classic — and brings dance to a diverse cross-section of Memphis youth. Late in the afternoon on the Saturday before New Ballet Ensemble is scheduled to perform its unorthodox version of The Nutcracker at the Germantown Performing Arts Centre, Katie Smythe, the company's founding director, sweeps through the group's spectacularly renovated Cooper-Young headquarters, rounding up dancers, musicians, and teachers and assembling them for a progress report. Once everyone has settled, Smythe steps into the center of the large, mirror-lined room and makes a series of stern pronouncements, reminding her performers that they are only one week away from their big night and that there are important transitions that have yet to be properly rehearsed. Smythe looks like a dancer. She's petite, with delicate features that belie the 47-year-old's toughness as an instructor. "We're only supposed to rehearse until 5 p.m. today," she says. "It's already after 4 p.m. and everybody's tired and looking a little pale. Before we do anything else, I think we all need to do an African warm-up." A jolt of happy electricity crackles through the room, as her dancers immediately line up in neat even rows and prepare to exercise. A pair of dreadlocked men take their place at drums in the front of the studio and start hammering out a hypnotic, tribal rhythm. The company begins a precise and vigorous game of follow the leader, starting with gentle stretches that gradually evolve into dance movements, as the sound of the drums grows louder, transporting the dancers to another plane of consciousness. It's unlikely that any student of dance could watch this sweaty scene and guess that the company was preparing to perform Tchaikovsky's famous holiday ballet — or something very much like it. But challenging expectations is exactly what the dancers of New Ballet Ensemble want to do, and for all of its classical underpinnings NBE's Nut Re-Mix is a far cry from the ballet that has charmed audiences for generations. This version — which has evolved over the past seven seasons — is set in Memphis, not Germany, and it samples Duke Ellington and brings in contemporary dance beats as the choreography shifts from sugarplum sweet to old-school street. The dancers and instructors at New Ballet Ensemble want to reshape what you think you know about classical dance. Since its founding in 2001, the school's mission has been to unite children from diverse ethnic and economic backgrounds and provide them with a professional standard of training from age 5 to age 18, regardless of a student's ability to pay. It's an ambitious goal that dovetails with the company's desire to develop unique danceworks that fuse classic ballet with hip-hop, modern, and traditional forms from around the globe — and to build an ensemble that looks, sounds, and, most importantly, moves in a way that reflects Memphis' unique culture. Although it was composed at the end of the 19th century, annual holiday performances of The Nutcracker are a relatively modern phenomenon. Tchaikovsky didn't particularly care for the work, and while the Nutcracker Suite — a shorter concert version of the work — became immediately popular, the complete ballet was performed infrequently until the mid-1950s. Now it ranks among the most popular and frequently performed works in the classical canon. The Nutcracker's story and its structure have been altered many times. In recent years, some wild productions have cropped up, including Mark Morris' Hard Nut, a campy and occasionally terrifying reinvention that owes as much to the underground comics of Charles Burns as it does to Tchaikovsky. In 2000, choreographerr Maurice Béjart staged an even more controversial, highly sexualized version that replaced the original cast of characters with Freudian archetypess, the Christian devil, and Felix the Cat. NBE's Nut Re-Mix is tame in comparison but no less original. 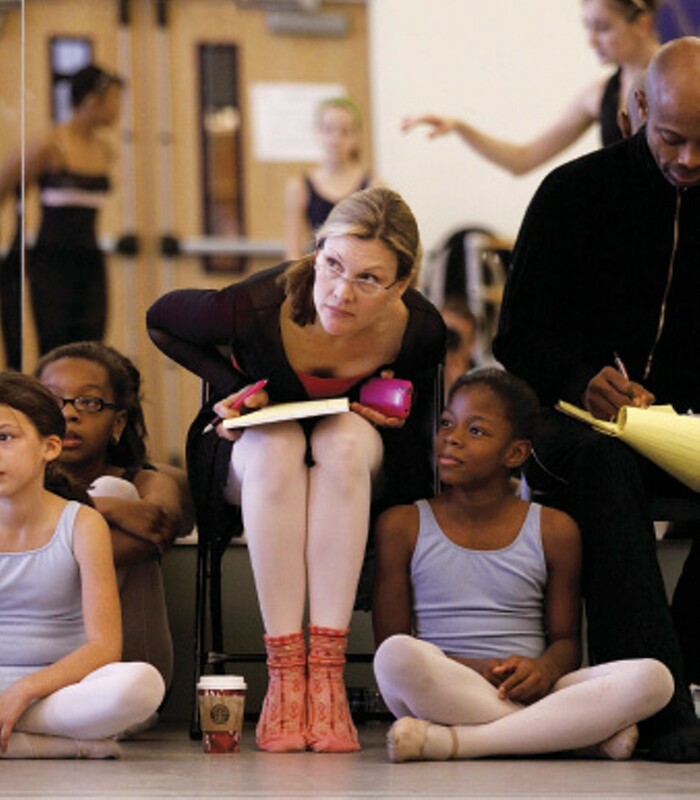 "It's the most original version of The Nutcracker I've ever done," says NBE guest artist General McArthur Hambrick. Hambrick, a veteran of Minnesota Dance Theatre, has performed on Broadway in Cats and Miss Saigon and recently in a revival of Martha Clarke's Garden of Earthly Delights. Hambrick has been involved in more versions of The Nutcracker than he cares to remember, but he says the Memphis production is unique because of its use of hip-hop, its international flavor, and the diversity of the ensemble — a multigenerational mix of company dancers, drummers, and students from Midtown, downtown, East Memphis, and Orange Mound. "It is very unusual to work with this kind of group," Hambrick says. Following the original story, NBE's Nut is centered around Clara, a young girl who falls asleep on Christmas Eve and has a fanciful dream that culminates with a fierce battle between a handsome soldier and the Rat King and his army. Smythe has set NBE's version on Beale Street, where revelers party, vendors hock their wares, and kids execute gravity-defying flips for pocket change on a night when a grounded international flight brings people from many lands into the same cafe. Tchaikovsky's original score includes sections inspired by Chinese, Spanish, Russian, and Arabian folk music, but Nut Re-Mix also includes dynamic selections based on African and Caribbean dance. "Everybody likes to think they've come up with an original idea," Smythe says. "But when you really think about it, not very much is all that original, is it?" And in fact, teaching ballet to students regardless of their ability to pay is a Smythe family tradition. Her paternal grandmother, Mary Clay Tate, was a ballerina who danced with the Chicago Lyric Opera before returning to her home in Memphis and marrying William Hamilton Smythe Jr., who sang in barbershop quartets and loved vaudeville. In the 1920s, William worked as a mortgage banker, and Mary taught dance. "But when the Great Depression hit, nobody could afford to pay for ballet lessons," Smythe says. To compensate, her grandfather installed barres in the couple's Midtown house, and when students came over, her grandmother would roll up the carpets and teach dance for a dime. "Or whatever you could afford," Smythe says. "And if you didn't have enough money for food, you could stay for dinner." Smythe, who took her first dance lessons from her grandmother, took the family's stories to heart. Today, 54 percent of the students in NBE's core program come from minority groups and often enter the school through programs like the Orange Mound Dance Experience and CityDance, a free summer workshop sponsored by Nike. Thanks to scholarships and grants, more than 40 percent of NBE's students study at no cost to their families. Smythe, a Central High graduate with 30 years of professional experience as a dancer, describes herself as a "bridge builder." Although her work hasn't gotten any easier, she laughs when she recalls how all the "bun-heads" (her ballet students) tried to run away when she first called on them to learn hip-hop. "They were so afraid they would look stupid," Smythe says. "So I told them, 'Well, think about how all the members of the [hip-hop] crew stepped up to the [ballet] barre.'" She describes those early mixers as a test of everybody's patience. Some white parents feared getting out of their cars when black students were present, and many black students perceived displays of authority by a white instructor as racism. Today, three students from the original Yo! Memphis program are company members. In addition to taking ballet programs like the company's Peter and the Wolf workshop into Memphis schools, NBE tours a show called From Hip Hop to Africa: The Roots of Urban Dance, which illustrates the relationship of African dance to modern urban dance and traces steps from New Guinea to Brooklyn, Memphis, and beyond. "We try to find what I call equalizers," says Smythe, whose ballet and hip-hop students are also exposed to modern dance, as well as traditional Spanish and Asian forms through company members like Noelia Garcia Carmona, who danced professionally across Europe and China after graduating from the Institut del Theatre i Dansa de Barcelona. The ultimate goal, Smythe says, is "raising the capacity of all, so that we no longer recognize our differences." Of course, NBE's free tuition isn't really free. Bridge-building is expensive, and the turbulent recent economy has created an especially nervous time for not-for-profit arts organizations. 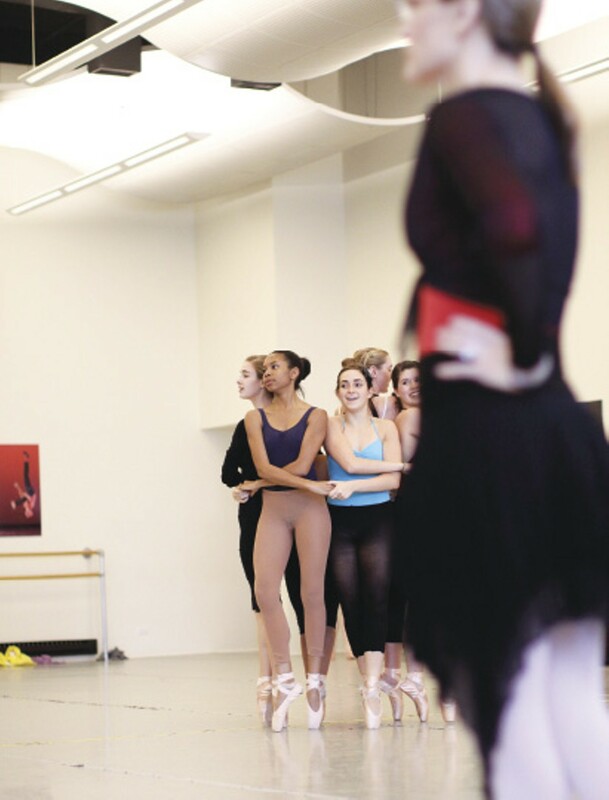 "People think that because they give to ArtsMemphis, they are supporting New Ballet Ensemble. And they are. But they may see ArtsMemphis on our program and assume, 'Oh, these guys are fully funded.' In reality, we only receive $4,000 annually from ArtsMemphis. That's only 1 percent of our operating budget." Smythe is clearly grateful for that 1 percent and for ArtsMemphis' generous capital gift sponsoring NBE's Cooper-Young community dance studio. She worries, however, that potential donors may not understand that ArtsMemphis funding is only part of the equation. NBE has developed a handful of corporate partnerships but relies heavily on private donations and grants. "Some of the little girls my grandmother taught at her house on Vinton have become wonderful donors," Smythe says. "Of course, they aren't little girls anymore." General McArthur Hambrick's arrival in Memphis last week was upstaged by the delivery of a large box from China. And while Hambrick, whose name generally ensures he's never upstaged, began his first workout in NBE's main studio, dancer Chris Roberts, a human spring known for his leaps and his skills at blending hip-hop and techno with classical forms, was tearing into the box and removing its colorful contents. "God, this smells like a sweat factory," he said, pulling out the giant head of a traditional Chinese Lion costume. Roberts' mother works as a ribbon designer for Sun Rich Asia and spends six months a year in China. The eight-part costume for two is an elaborate hybrid, part clothing, part puppet. Within minutes, Roberts and a partner have put the entire thing on and are prancing around the room, blinking the lion's eyes, wiggling its ears, and stopping occasionally to scratch imaginary fleas with the fringe-laden hind legs. Two days later, during a large group rehearsal, the duo made the lion moonwalk across the main studio floor, while other dancers twirled parasols and waved fans or ribbons. The moonwalk was spontaneous and not officially a part of the performance, but it was a beautiful and surreal reminder of the kinds of surprising things NBE can do. Roberts, who acquired the lion with help from his mother, had no classical training before — as he puts it — "Miss Katie found me." He says he "didn't want to have anything to do with tights." Roberts started studying jazz and tap in elementary school and worked as a Libertyland dancer for two summers, while teaching himself hip-hop basics. On the last Saturday before the big show, Roberts worked out how to incorporate his big red lion into Nut Re-Mix's China sequence, while ballerinas in pink toe shoes leaned against the barre next to hip-hop dancers in orange-and-gray ankle boots. In the neighboring studio, a pair of dancers worked on the ballet's Arabian section, while in the ArtsMemphis Community Dance Space, drums rumbled and whistles sounded as an African dance, using beginning and intermediate students, started to take shape. It was like the whole world had come to Cooper-Young. And that whole world was Memphis.